Big Creek is a classic and beautiful class III+ - V creek that is very convenient to Asheville and Knoxville, TN. 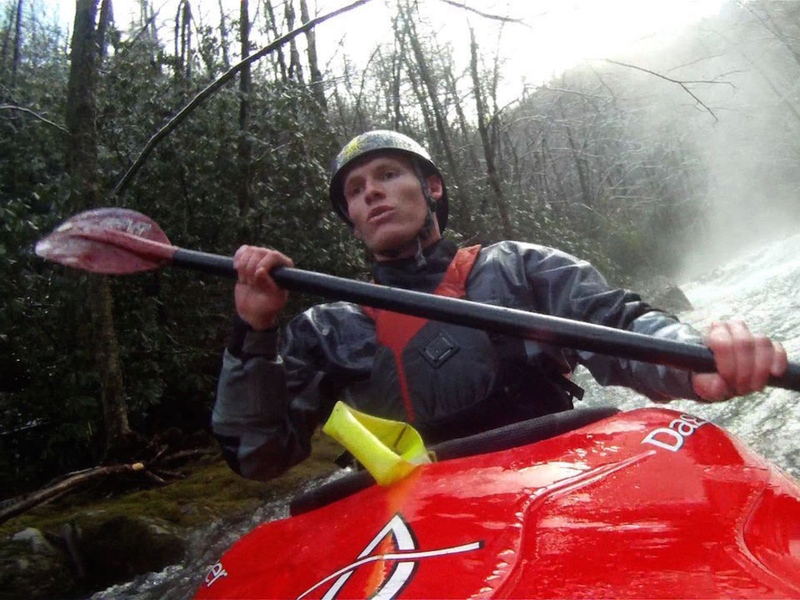 It combines high quality and continuous boulder garden rapids, sparkling Smokies water, and simple shuttle logistics. Big Creek is a truly special river to paddle. It’s easy to pack four or five friends into a vehicle and drive straight there without the need for shuttle planning. The rocks are smooth, the water is cold and clean, and life is without complication. On a personal level, it’s the kind of river that I hope to paddle until I’m 60 years old! All things considered, I think this is my favorite creek in the world. 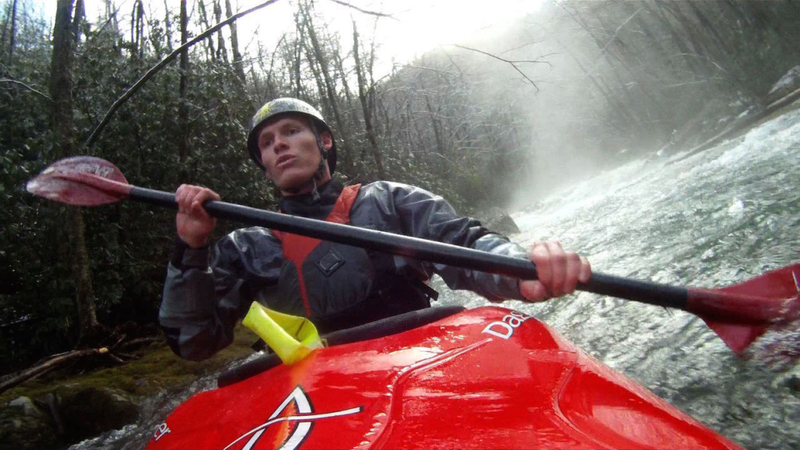 An Upper Big Creek run always starts out in a meditative way… hiking with kayak on head or shoulder for around an hour. This act of exertion clears the mind and opens the paddler up to experience this river’s unique beauty. The trail parallels most of the river, giving up the opportunity to scope the water level and wood situation. There are three popular entry options depending on flow and group motivation. Paddlers who are looking to step up from the Lower (but avoid the most difficult whitewater) can put in below Action Alley. This is essentially the first place that the river comes to the same level as the trail. The other two options are to put in at the bridge over Big Creek about three miles up, or at Superman Rapid, another ½ mile above that. Whichever option is used, the action begins quickly and doesn’t let up. It’s important to keep an eye out for wood, and to memorize the egress for scouting/portage at Monster and Action Alley. Both rapids wouldn’t be very forgiving to blunder into. This is a high quality and easily lapped class IV creek. The character is similar to its upstream big brother… continuous and very flowy over beautiful smooth rocks. This section is perfect for the aspiring creeker to practice his/her skills as well as a high water default for Upper paddlers if there is more water than expected. This turns into something very similar to the North Fork of the Payette when over 5 feet on the gauge! The biggest rapid is just over ½ mile in, and demands boat control and speed to get through some sizeable holes. Just keep your bow up and it will work out! From there, keep an eye out for wood, and beware of the final section before the takeout… a pin is definitely possible in that jumble. Also make sure you take out at the correct spot, because a dangerous lowhead dam separates free-flowing Big Creek from the Pigeon River. This river has a perfect blend of high quality moves and intensity, but nothing too crazy, making it great for an adventurous beginner or intermediate paddler. After crossing Big Creek for the first time, drive 1 mile upstream to a stop sign/four-way intersection. Continue straight upriver to parking lot. Hike upstream until you get tired of hiking (most people put on at the bridge over the river, or ½ mile upstream at Superman rapid). Follow directions above, but stop just after 2nd bridge over Big Creek. See directions for Upper Takeout.